The Foundation for Landscape Studies is pleased to announce the winners of the 2015 John Brinckerhoff Jackson Book Prize for recently published books that have made significant contributions to the study and understanding of garden history and landscape studies. The winners are listed in alphabetical order. André Le Nôtre (1613–1700), principal gardener to Louis XIV, was France’s greatest landscape and garden designer. The parks he created at Vaux-le-Vicomte and Versailles are the supreme examples of seventeenth-century French garden design. He also created the central promenade of the Tuileries, which would become the grand axis of Paris. 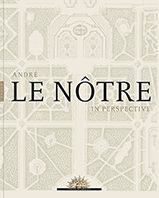 André Le Nôtre in Perspective sheds new light on the royal gardener’s life and his practice as a landscape architect, engineer, and art collector. It highlights his achievements, and at the same time, enhances our understanding of the French classical garden as an enduring influence on landscape design. Comprehensive, impeccably researched, and supplemented by illustrations of original documents and drawings, it brings together the scholarship of some of the world’s leading experts in early modern art, gardens, and allied fields. Patricia Bouchenot-Déchin is a Research Associate at the Centre de recherche du château de Versailles and Laboratoire de l’École d’Architecture de Versailles. Georges Farhat is an Associate Professor at the University of Toronto and a founding member of the Laboratoire de l’École d’Architecture de Versailles. In Wasteland Vittoria Di Palma takes on the “anti-picturesque,” offering an account of landscapes that have drawn fear and contempt. Di Palma argues that a convergence of beliefs, technologies, institutions, and individuals in eighteenth-century England resulted in the formulation of cultural attitudes that continue to shape the ways in which we evaluate landscape today. Staking claims on the aesthetics of disgust, she addresses how emotional response has been central to the development of ideas about nature, beauty, and sublimity. She tackles our conceptions of hostile territories such as swamps, mountains, and forests, arguing that they are united not by physical characteristics but by the aversive reactions they inspire. 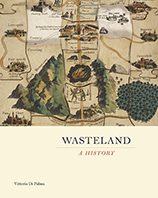 With striking illustrations of husbandry manuals, radical pamphlets, gardening treatises, maps, and landscape paintings, Wasteland spans the fields of history, landscape studies, art and architectural history, geography, and the history of science and technology. Vittoria Di Palma is an Assistant Professor in the School of Architecture of the University of Southern California. The dawn of aviation ushered in radically new ways for architects, landscape designers, urban planners, geographers, and archaeologists to look at cities and landscapes. Professionals of the built environment awoke to the possibilities offered by electrifying aerial perspectives and airports as sites of design. In Flights of Imagination, Sonja Dümpelmann illustrates how design professionals understood the aerial view as simultaneously abstract and experiential, detailed and contextual, harmful and essential. She discusses landscape design and planning activities that were motivated, legitimized, and facilitated by the novel perspective, and shows how viewing the earth from above redirected attention toward bodily experience on the ground. Tracing the evolution of airports, she describes how they were conceived as landscapes and cities, and explores contemporary plans to turn decommissioned airports into urban public parks. Sonja Dümpelmann, Associate Professor of Landscape Architecture at Harvard University, is the coeditor, with Dorothee Brantz, of Greening the City: Urban Landscapes in the Twentieth Century. Characterized by his contemporaries as a “man of taste,” Whig politician, author, publisher, and antiquarian Horace Walpole, 4th Earl of Orford (1717–1797), created Strawberry Hill, his villa and garden beside the Thames in Twickenham, as a place of private resonances, pleasure, and entertainment. 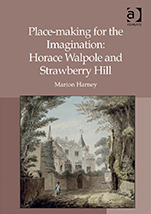 In Place-Making for the Imagination: Horace Walpole and Strawberry Hill, Marion Harney explains how this celebrated creation melding historic, visual, and sensory modes of perception can be interpreted autobiographically to explicate the aesthetic theories and values of its maker. She argues that Walpole was the first person to define the Gothic style and that his 1780 text, The History of the Modern Taste in Gardening, is a pioneering attempt to describe past styles and articulate contemporary garden theory. Her description of Walpole’s villa and its associated grounds shows how Strawberry Hill serves an example of the new English style of landscape design. Marion Harney is Director of Studies, Conservation of Historic Gardens and Cultural Landscapes at the University of Bath, UK. Cornelia Hahn Oberlander is one of the most important landscape architects working today, yet few outside the field know her name. By placing her within a larger social and aesthetic context and chronicling both her personal and professional trajectory, Susan Herrington has remedied a serious lacuna in the history of modernist landscape design. She offers the first biography of this adventurous and influential landscape architect who fled Nazi Germany at the age of eighteen and then became one of the few women of her day to graduate from Harvard University’s Graduate School of Design. Cornelia Hahn Oberlander: Making the Modern Landscape draws upon archival research, site analyses, and numerous interviews with Oberlander and her collaborators. Oberlander's socially responsible and ecologically sensitive public landscapes in New York, Philadelphia, Vancouver, Seattle, Berlin, Toronto, and Montreal are thoroughly explored. Susan Herrington is Professor of Architecture and Landscape Architecture at the University of British Columbia and the author most recently of On Landscapes.